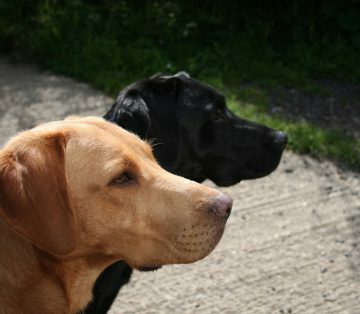 We have stayed at Cholsey Grange CL a number of times and there are many excellent walks from the site. 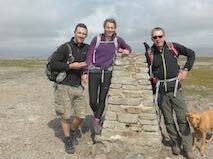 During this stay we have decided to add a few new walks in the area and also to explore further afield. 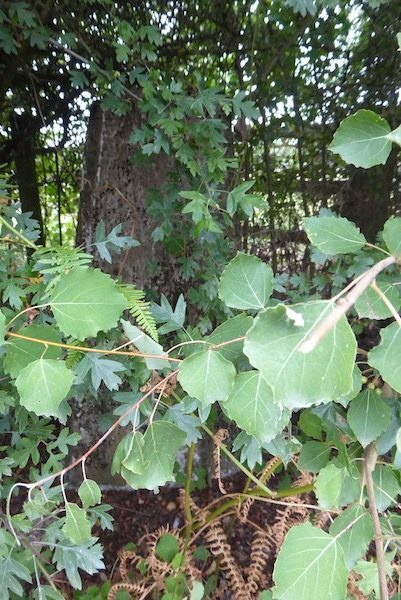 Today we are walking from Cholsey Grange and leave through the gate at the far end of the caravan site. Joining the footpath we turn left and walk downhill into the bottom of the valley and then turn right to walk through Twigside Bottom. 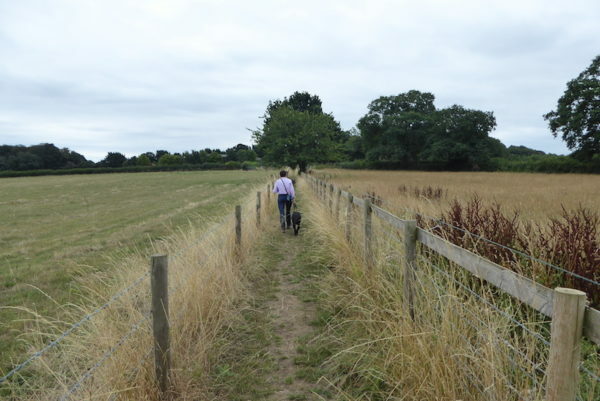 We follow the footpath through the bottom of the valley until we reach the gate at Gravesend where we turn right along the tarmac lane, Chequers Lane, and head towards Fingest. 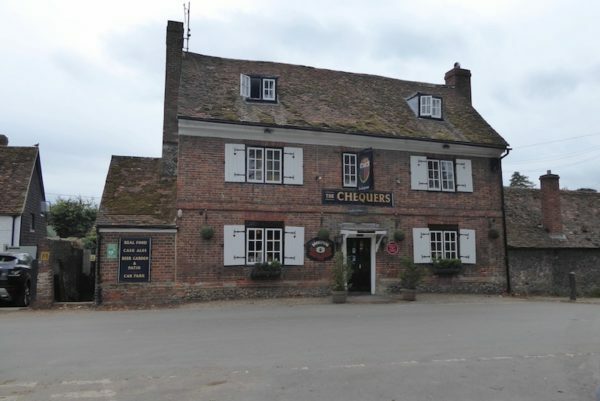 After passing the church we turn left along the road at the junction opposite the Chequers Pub. After a couple of hundred yards, just as we leave the village, we take a footpath on the right with a finger post for the Chiltern Way. This path goes through a field and then starts to climb gradually besides Goddard’s Wood. At the top of the hill we enter Fingest Wood and stop briefly to admire the view behind us. We follow the clear path, ignoring a sign on the right for the Chiltern Way and emerge from the wood to join a track that becomes a road into Little Frieth. At a junction we continue straight ahead towards Frieth and at the next T-junction turn left and then after a couple of hundred yards take a footpath down an unmade road to join a fenced footpath. 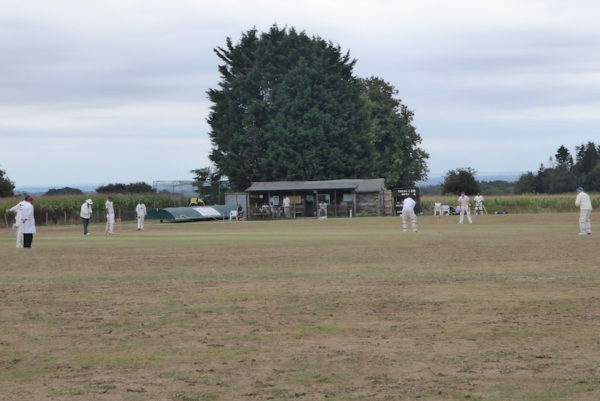 The path runs besides a road and then follows a wide verge, we take a slight diversion to watch a couple of overs of the match being played on Frieth Cricket ground. 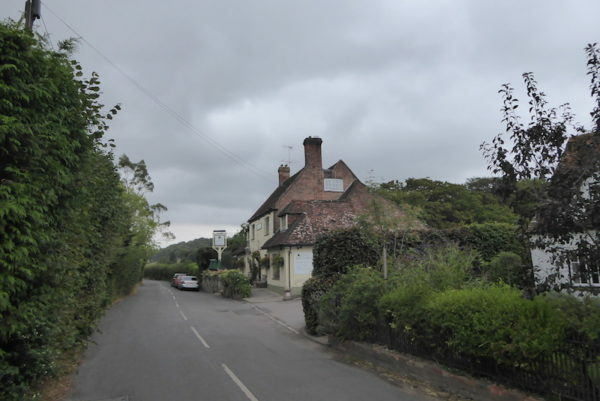 Continuing on we pass the entrance to St Katharine’s Parmoor, the house is now a religious retreat and is not visible from the road, which is a pity because it has a very interesting past. 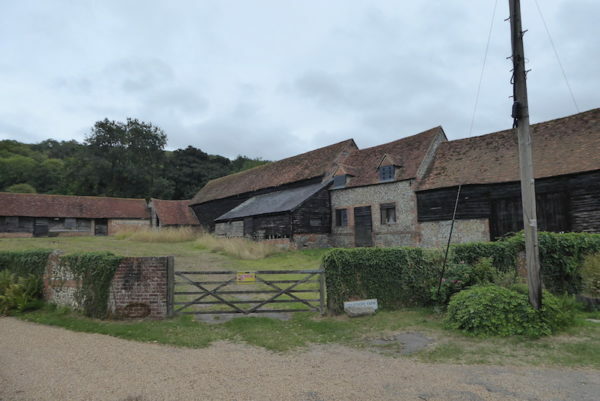 The estate was once owned by the Knights Templar. In the 16thcentury it was the home of the Saunders family and in 1603 Mary Saunders and her husband Timothy Doyle extended the property. In 1860 Henry William Cripps QC purchased the property, which later passed to his son Charles Alfred Cripps QC who in 1914 became Lord Parmoor of Frieth. His youngest son was Stafford Cripps the post war Chancellor of the Exchequer. When Lord Parmoor died in 1941 the house was let to King Zog of Albania, he had been forced into exile when Mussolini invaded his country. In 1946 King Zog headed to Egypt and the house lay empty for a while before the second Lord Parmoor sold it to the Community of St Katharine of Alexandria who had been bombed out of their home in Fulham. In 1995 the last remaining member of the community, Mother Christine, gave the house to Lady Ryder, of The Sue Ryder Foundation fame, it has remained a separate charity providing a spiritual retreat. We continue along the lane, carrying straight on at a junction and passing farms. At the next junction we stay on Parmoor Lane following signs to Pheasant’s Hill, Hambledon and Henley. At the next junction we fork left passing Russells Farm and the Rockwell End Farm. It is amazing how rural this is, we are only a few miles from some very busy towns but here we are in the depth of the countryside. At the next junction we turn right and continue along the road towards Rotten Row. After passing Spingfield Farm we take a right down a tarmac lane leading to Hutton’s Farm. The entrance has security cameras and bollards preventing vehicle access but the footpath runs down this driveway. We stop here to search for a trig point that I understand to be in the hedgerow. We go up and down a few times before I finally spot it hidden away. This is the eighty-sixth trig point I have bagged. 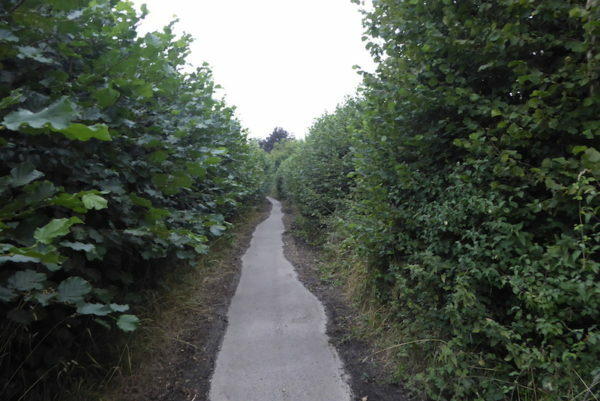 We continue down the driveway with a large orchard on our left and then at a junction of paths follow the footpath running up the driveway in front of Hutton’s Farm. The old farmhouse has obviously had a lot of redevelopment over the years and now appears to be a very grand property with a lot of security. I am not sure I would want to live in a house that needed so much protection. Just after the house at a junction of footpaths we turn left to follow the path down the driveway leading to the edge of Hambledon. We cross the minor road and go into a field with cattle and turn right along the Chiltern Way. After going through a couple of fields the path runs behind houses. 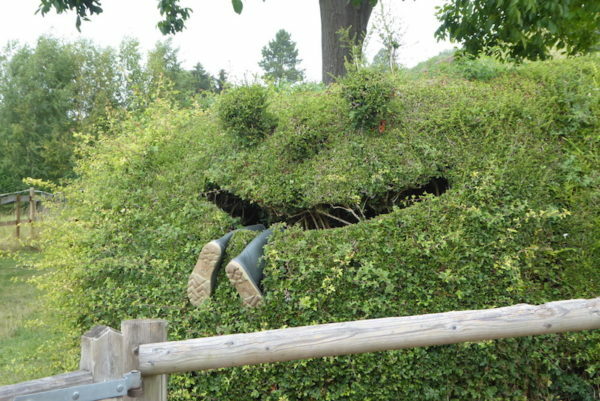 One resident appears to have grown a hedge, which devours passers-by. 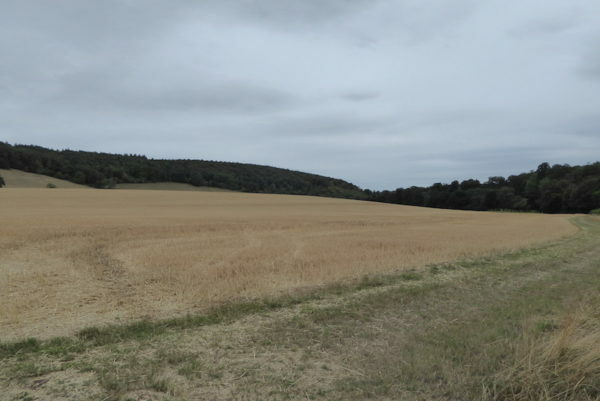 This footpath continues across fields passing the settlement of Pheasant’s Hill and then across more fields to reach a minor road at Colstrope Farm with its fine set of farm buildings that look ripe for development. We continue straight on a long the road for a few hundred yards and then as the road turns right we carry straight on along a track and then across another couple of fields before crossing a minor road and carrying on across fields to pass Arizona Farm and then more fields to reach the edge of Skirmett. Here we turn left down a road and then right to walk through the village passing the Frog Inn. We continue on the road and then just after leaving the village we turn left down a gated tarmac lane, Watery Lane, to head towards Turville. 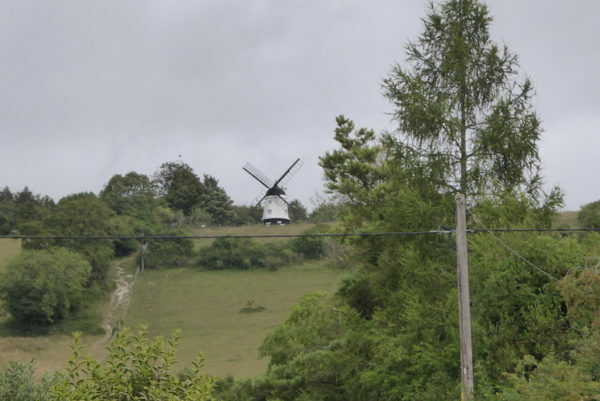 On reaching a minor road we continue into Turville with Cobstone Mill to our right. 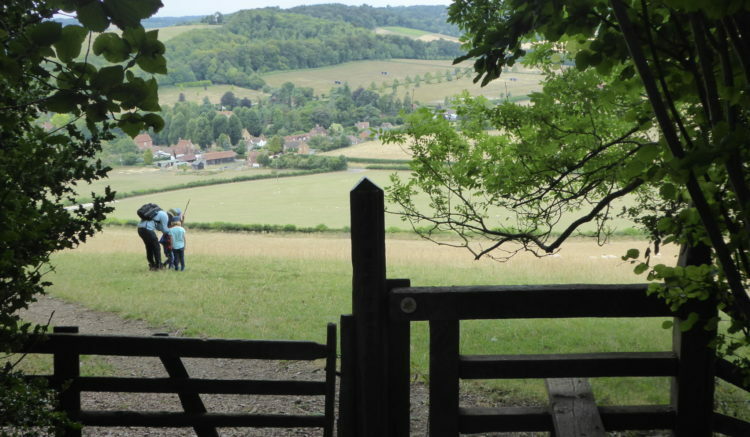 We go through the village along a quiet road and then as woodland appears on the right take a well-worn path through the trees of Turville Wood. We cross a minor road and then shortly after a farm track at a crossing of paths we take the route that goes straight on heading northwest. After a few hundred yards this path is joined by one from the left and continues uphill through trees between fields of pasture. We stay on this path and continue straight on when, at the edge of the village, the path turns into a tarmac lane. After passing the cricket ground we take the farm lane back into Cholsey Grange. Our walk has covered over thirteen miles; it has been interesting to explore a bit more of this cracking countryside. 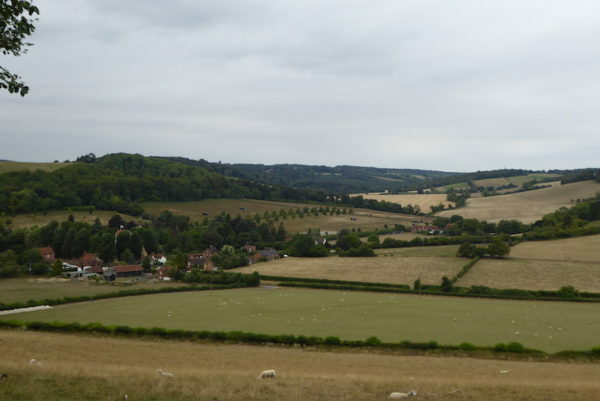 To follow our walk you will need Ordnance Survey Outdoor Explorer Map 171 – Chiltern Hills West .